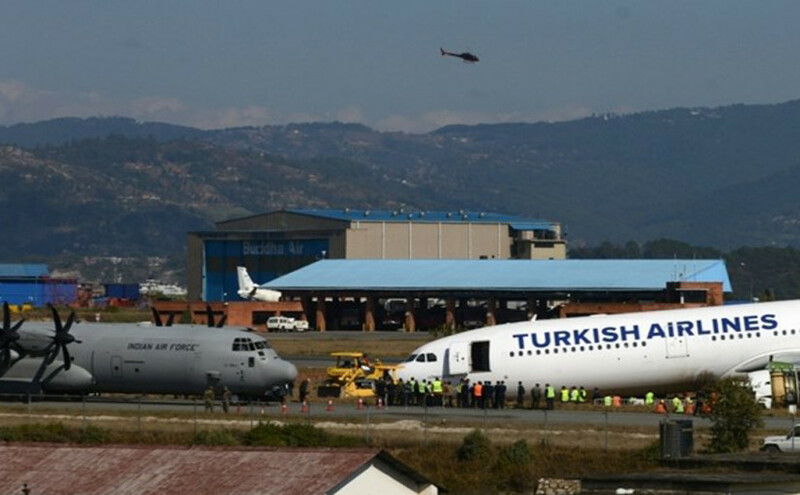 Kathmandu: Nepal today said India’s necessary support and technical assistance helped it in successfully removing a Turkish jet that had skidded off its runway due to poor visibility and left nearly 50,000 travellers stranded. “I would like to extend my sincere thanks to the Government of India and Air India team for providing necessary assistance to remove the aircraft,” said Ratish Chandra Lal Suman, director general of Civil Aviation Authority of Nepal. It would not have been possible to remove the aircraft in such a short period of three and a half days from the ground if the Indian team had not arrived with its equipment, he said. “It would have taken lots of time if India had not provided necessary support and assistance. As a closest neighbour we had approached the government of India for providing help to remove the jetliner,” Suman said. Following requests by the Nepalese government, a 12 member team of engineers, led by S Ramaswamy, from Indian Air Force and a C-130J Super Hercules transport plane with an aircraft removal kit were sent to remove the badly stuck plane from the ground. Prime Minister Sushil Koirala had directly telephoned Indian Ambassador to Nepal Ranjit Rae for the help and within 12-15 hours the Indian Air Force’s aircraft had landed for help, according to Indian embassy. “It is a very good demonstration of how we can come to each other’s assistance in times of need,” Rae said today. Nearly 240 people on board the jet had a lucky escape when the plane missed the runway while landing in dense fog and skidded onto nearby grassland on Wednesday. The airport ground was very much muddy and the nose wheels had gone 6 feet underground during the crash landing, Indian technical team said. Flights resumed from the country’s only international airport yesterday as it reopened after four days. Nepal’s high altitude and tricky runways that often suffer from foggy conditions and poor visibility pose a challenge to even the most accomplished of pilots and had been blamed for a string of aircraft crashes in the past. The European Union had banned all Nepal-based airlines in December 2013 from flying to the 28-nation bloc, citing poor safety standards followed by the airlines in Nepal.